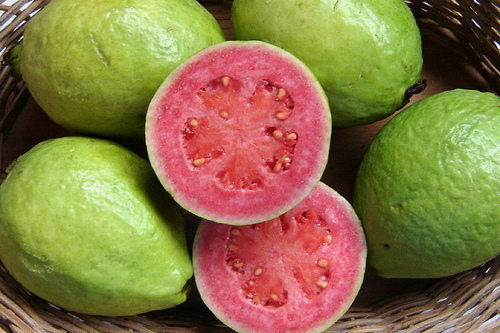 The pink guava is deliciously and sensuously succulent when you bite into a perfectly ripe one. 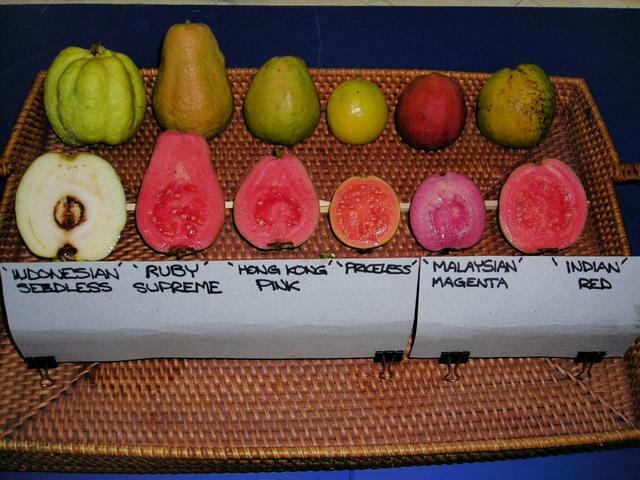 There are different variations of the guava, but the pink one stands on its own. The color combination of pink and yellow green is gorgeously unique. It grows in a tropical climate, but you can buy the liquid version of it in Asian grocery stores. My family home in the tropics used to have a few guava trees in its yard. One was of the smaller, white inside / dark-green outside variety which was still tasty when ripe. The pink guava tree, however, used to bear large fruit that amazed me to no end in its appearance and flavor. Now, living in a temperate region, I miss all the tropical fruits that were so abundant and within my reach. Most of all I miss the pink guava and its pretty constitution.